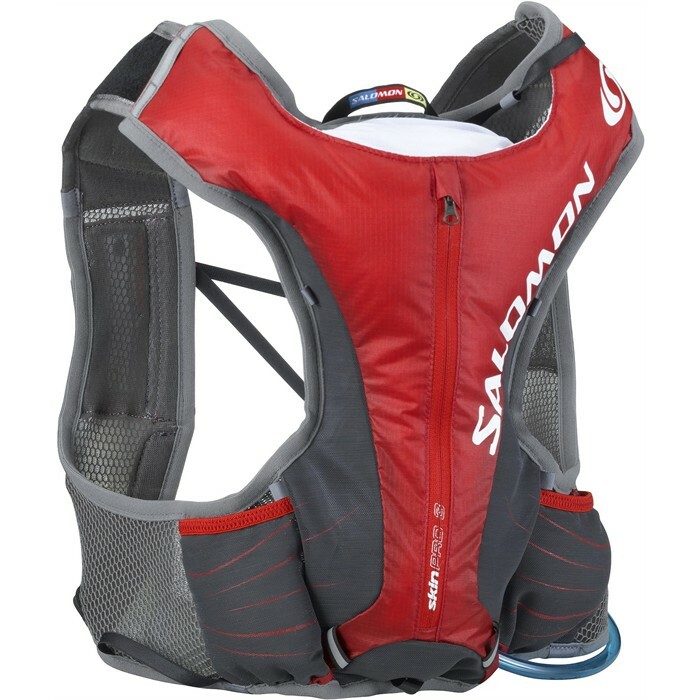 The Salomon Skin Pro 3 is a running-specific hydration backpack. 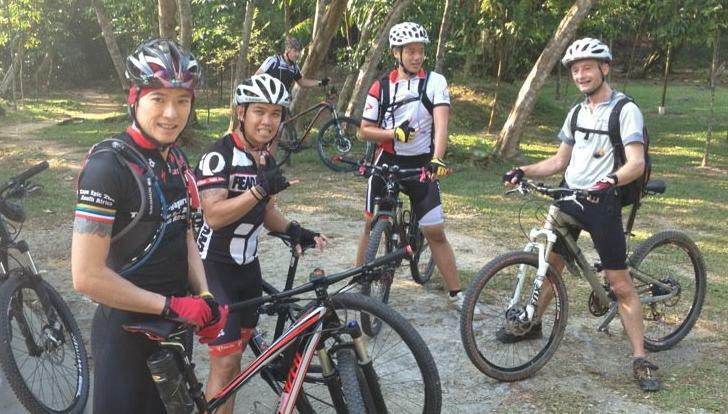 I adopted it for mountain biking and tested the pack when riding with my mates at the fabled Bukit Kiara trails in Malaysia. My first impressions - very light, low profile and fits closely to my body without being overly tight. It received quite a bit of attention from my mates too. The torso-hugging design is unique and rarely seen in the mountain bike trails, unlike the ubiquitous CamelBaks and Ospreys. The myriad of adjustments took me a bit of getting used to at first. But once I got them dialed in, the pack fitted almost perfectly with no noticeable pinch or pull on the shoulders and chest. The wide 3 to 4 inch shoulder straps with twin elastic chest elastics does a good job of spreading and dispersing the load. A bonus for bikers is the absence of a belt which can pinch the stomach, especially for those with a more generous girth! Kiara has some very challenging trails, but I soon forgot about the Salomon on my back. The pack hugs my torso snugly and doesn't bounce around despite some harsh sections. The test came when we were flying through the technical but yet fast and flowy "Round the Mountain" and "Flintstone" trails - the pack did not flinch as I mustered as much body English as possible to tackle and dance with the terrain. The 1.5 litre bladder means that the pack is good for shorter rides of up to two hours only, although the lightly padded insulation doesn't keep the liquid chilled for that long. 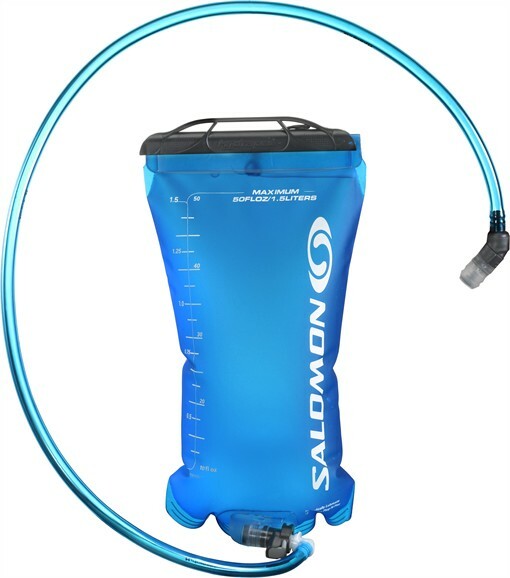 The under arm tube routing shortened the distance the liquid has to travel as compared to the more common over-the-shoulder design. Hence, the liquid seemed easier to sip. Also, because the bite valve points upwards, I found that I could tilt my head to access the valve with just a light tap of my hand. Storage is sufficient for the basics only like a compact phone, multi-tool, gels, a protein bar and perhaps a small first aid kit if you are lucky. Bulkier items like spare tube and pump have to go into the jersey pocket or mounted on the bike. It also comes with an attached whistle for security. Then again, this is really a minimalist pack that would appeal to weight-weenies and for those who prefer to minimize weight on their backs. I imagine the pack would also be ideal for races for up to 2.5 hours in our tropical climate, perfect for a virtually hands-free hydration. Full disclosure: The folks at World of Sports Singapore gave me a Salomon Skin Pro 3 to review from my perspective as a mountain biker.